If you’re looking for a hair-raising activity for your Newquay Hen Weekend we would highly recommend a visit to Newquay's Quad Biking centre. 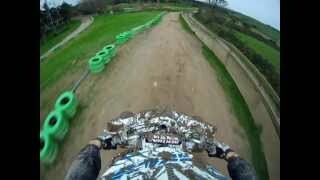 We've visited and tested plenty of tracks in the UK and consider this to be the best Quad Bike circuit by far. A bold claim we know, but this is definitely the circuit that everyone else tries to emulate! This will be an exclusive event with everyone in your party on the track at the same time. Officially it's not a race but you are free to push the quad and your riding skills to the limit and overtake anyone that's hogging the track ahead of you! View our Quad Speed Circuits video and get an idea of what to expect on this activity.